A new run of Shows at The Crown Inn will be announced soon. Subscribe to be kept up to date. Threadbare Theatre Company are proud to announce the latest production of Such Art, Such Beauty – Written by Graham Billing, Directed by Lucy Linger and starring Carla Fraser, Marie Blount & Ruth Redman. Sunday 26th June – Wednesday 29th June 2016 at 8pm. Doors open at 6.30pm – Why not book a table and have some food before the performance? 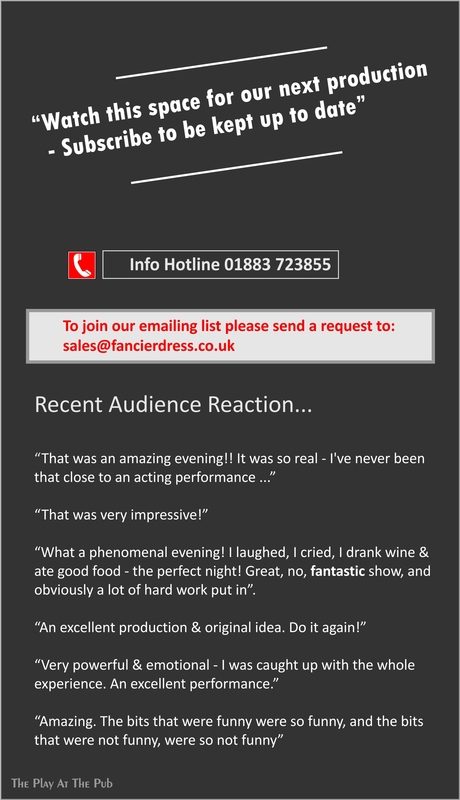 The review for our latest production is here, have a look! 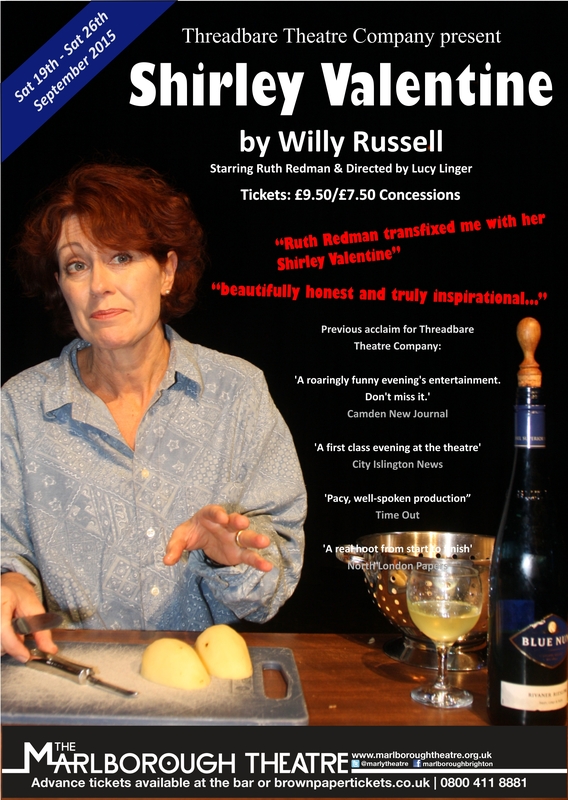 Shirley Valentine in Brighton! 5 Star Review!